Dressing in blackface is one thing, posting a picture on twitter is another, but defending it as a “tribute” shows how out of touch Griezmann is with the history of racism and how it still affects black people in 2017. If you are unaware of why blackface is unacceptable watch this plea from a talented poet, explaining why this twisted form of entertainment and the stereo-types it enforces needs to be erased from both black and white minds alike. Although the first recorded use of blackface was for Shakespeare’s Othello performances in the early 1600s, the extent of the psychological damage that blackface emits came to light from the minstrel shows, borne in the USA, which popularised the use of blackface from the early 18th century to late 20th century (as recently as 1978 the BBC was airing minstrel shows). Should someones entertainment ever outweigh psychological abuse? For those who are unclear, Griezmann’s choice of fancy dress is offensive because black face popularised by ministresty condones the caricaturing of black people, perpetuating racists stereotypes of laziness, stupidity, buffoonish and other derogatives; whilst reducing the black experience to paint and sometimes lipstick. Greizmann’s first reply to the outburst of his picture was it was a “tribute” reflecting that he does not see the seriousness in his actions and money does not automatically equate to education. Let’s be clear, I’m not justifying Griezmann’s ignorance, but I would be lying if I said I wasn’t slightly surprised. My surprise came from the fact that Griezmann regularly plays for the European football team that has the most players of African descent: France. 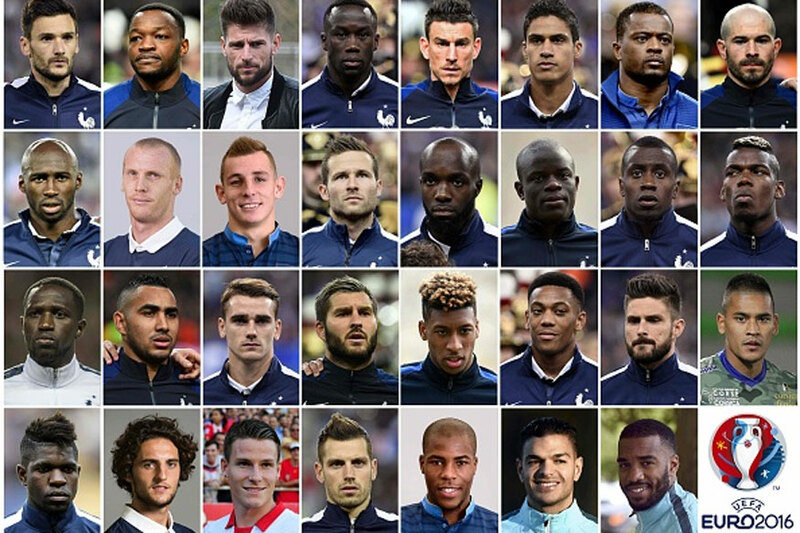 Just look at France’s Euro 2016 squad, in which 16 out of 31 of their players are ethnically African (the politically correct term for Black). Regardless of France’s ethnically diverse team, it goes to show that proximity to blackness does not automatically equate to an absence of racism. After all John Terry and Rio Ferdinand were once great friends, until the then England and Chelsea captain racially abused Rio Ferdinand’s brother in a football game. If the last 400 years of institutional racism e.g. minstrelsy as a means of subjugating the minds of black people so much so that black actors would self-caricature by using black face, were erased then black face should not be this contentious as it would not be adding to the centuries of physiological trauma that systematic racism created. Is a half-hearted apology better than no apology? However, these are mere hypothetical thought experiments and the truth is even if Griezmann had the most innocent intentions, his choice to dress in blackface shows a lack of understanding towards the world’s most prevalent, insidious and destructive form of systematic oppression. The power imbalances that have formed out of centuries of matured racism and the use of minstrelsy to achieve this, is why ‘white face’ cannot be equated to ‘blackface’. In 2017 it’s sad, but not fully surprising, that I have to write articles like this. If more white people recognise their privileged that a costume choice can be disputed as racist or just an offensive joke, then perhaps they’d realise how unnecessary it is to dress in blackface ever again. If you still don’t understand the need for this article, then watch this video and let us know if your opinions have changed.